Today's episode of The Star Wars Show delivered us some exciting gaming news related to Star Wars: The Last Jedi. The film itself was just released on Blu-ray and 4K Ultra(read our review here), in addition to Digital HD, allowing fans to experience it any way they want. Now you'll be able to play The Last Jedi in two popular games. The Star Wars Show hosts Andi Gutierrez and Anthony Carboni revealed that the ever-popular sandbox game Minecraft would be getting an epic Star Wars update, themed for the Sequel Trilogy. The Star Wars Sequel Skin Pack will allow players to insert characters from both The Force Awakens and The Last Jedi into the iconic blocky world of Minecraft. For just $2.99, the Sequel Skin Pack includes 53 character skins from the films, so you can play as anyone from Rey, Finn and Poe, to Tallie Lintra, Bala-Tik and PZ-4CO. 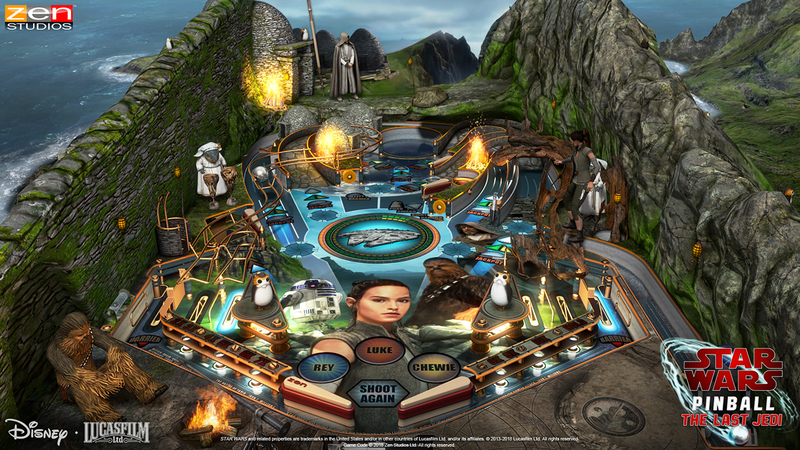 In addition to that, they also announced that Zen Studios’ Star Wars Pinball would be gaining two new Episode VIII-themed tables. The Ahch-To Island table features interactive sights and sounds from the first Jedi Temple and it's residents, included Rey, Luke, Chewie, Artoo, the Caretakers and the Porgs. The Last Jedi table includes a mishmash of themes from the entire film, including imagery from Canto Bight, Crait and other locales. Both tables will be hitting the game on April 17th. Be sure to check out the full interview by clicking here. 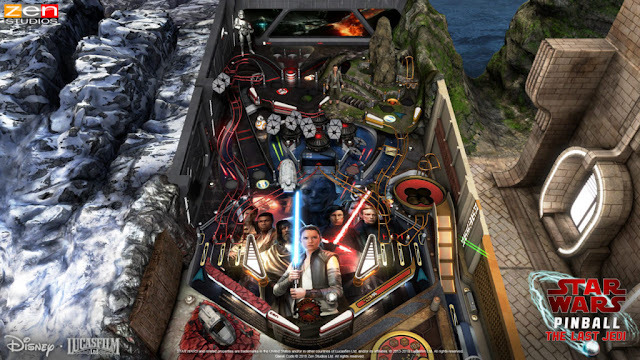 Follow these links to learn more about Star Wars Pinball and Minecraft!